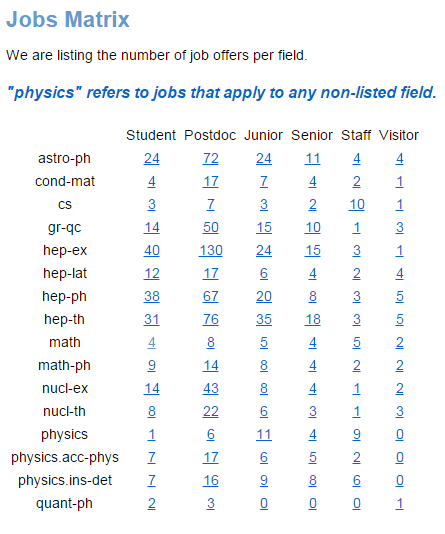 Want to see the numbers of available job postings for any combination of field and rank faster? Try our jobs matrix which gives you results with one click. You can access the matrix from the orange box in the Jobs page. 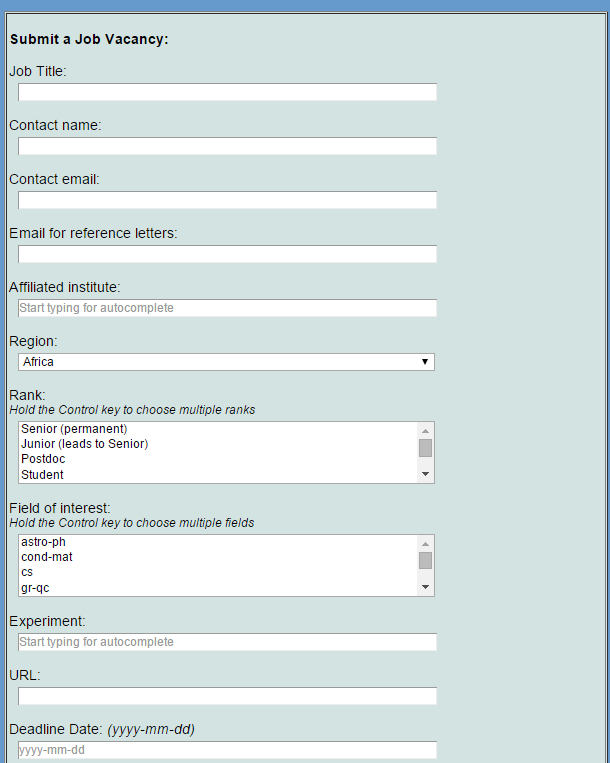 The matrix allows you to choose between filters for all combinations of field categories and ranks (student, postdoc, junior, senior, staff, visitor). Once you click a field/rank combination, the search filters at the top of the result page enable you to refine the search by region. 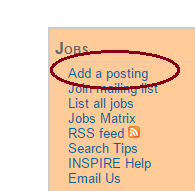 To stay updated on new vacancies matching your search subscribe to the RSS feed at the bottom of the result page. 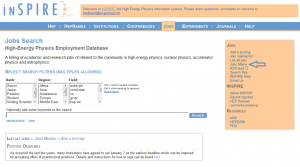 HEPJobs is a well established, free-of-charge service, where people can post and find academic and research jobs of interest to the community in high energy physics, nuclear physics, accelerator physics and astrophysics. 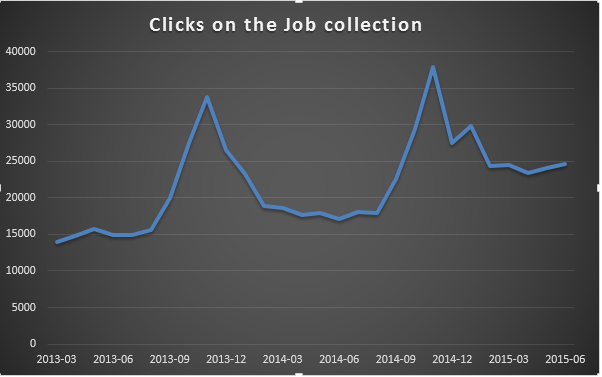 It allows thousands of people in HEP to connect as both employers and job seekers providing a natural and efficient match between job ads and viewers. 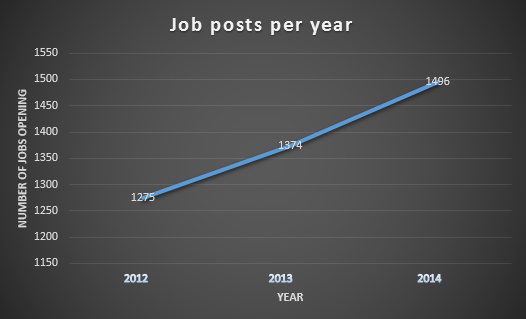 Over the past decade we have listed over 8,000 jobs; in 2010 alone we added over 1,600 jobs. In peak season, our site gets over 5,000 hits per day. We accept direct submissions of ads and also collect job listings from our partner site, AcademicJobsOnline.org, and the websites of universities and laboratories around the world. Over the coming months we’ll be adding improvements such as the ability to post vacancies, modify or delete them or extend the deadline immediately through a web form without having to wait for a human operator. 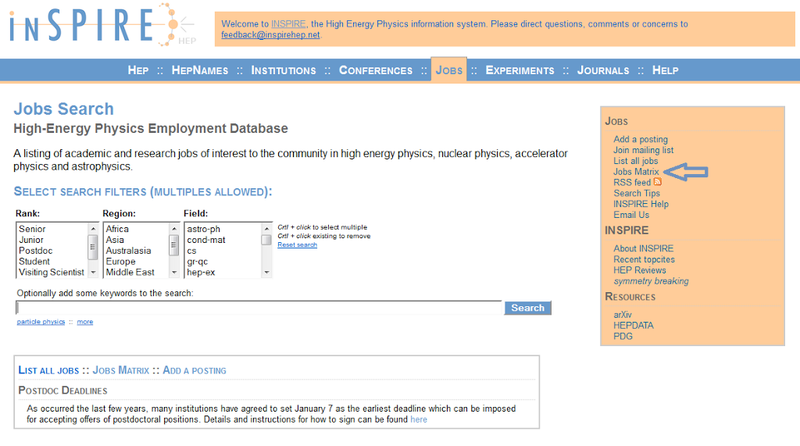 Please send any questions regarding HEPJobs to jobs@inspirehep.net.